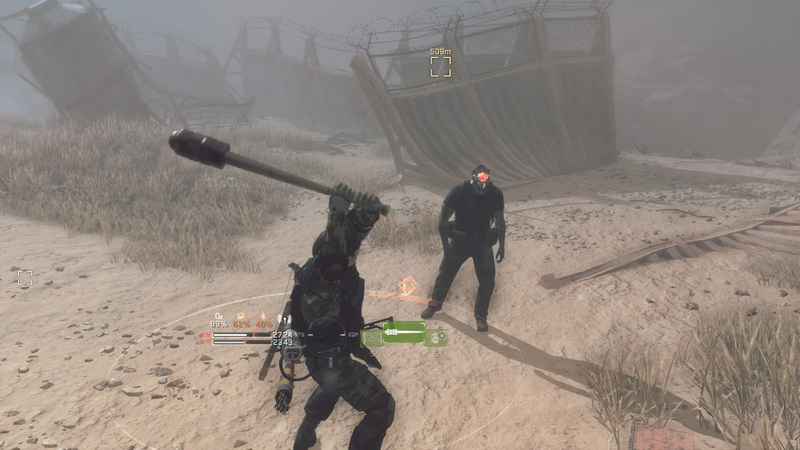 Of all the games in Metal Gear’s 30 year history, few have been met with such disdain as Metal Gear Survive. It is the first installment after Kojima’s departure, developed by Yuji Korekado and Yota Tsutsumizaki and Production Studio 8, the remnants of what was once known as Kojima Productions. It has been showered with hate and ridicule throughout its entire journey from announcement to release, and has been disregarded long before it even came out. But let’s forget about all of that for a moment, and attempt to look at this game as honestly and objectively as possible. 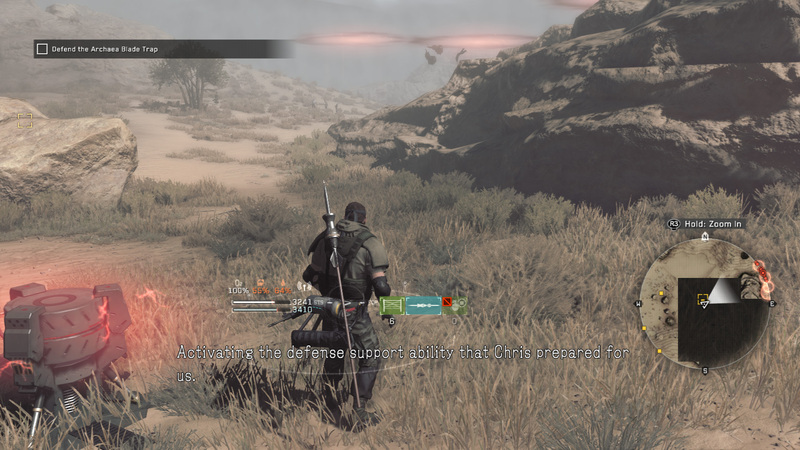 In Metal Gear Survive, you step into the boots of a soldier from MSF (‘Captain’), as he, or she, is sent into an alternate dimension by a mysterious organization named Wardenclyffe Section. This world, called Dite, is inhabited by crystalized zombie-like creatures (Wanderers) and partly covered in a thick dust, and the stranded Captain has to do everything he can to survive. That means not only providing food and water for himself, but also building a Home Base, crafting weapons and treating injuries. Along the way the Captain will recruit more and more people as they together try to figure out a way home and unveil the mysteries of Dite and the true nature of the Dust. If you look around the internet you will find plenty of videos and opinion pieces chastising the game’s early part. This is because as you are starting out, and still trying to learn the basics of surviving and managing your inventory, the game can be very harsh and unforgiving. You’ll run out of food and water and will be forced to drink the dirty sludge you find in nearby pools and chew on raw meat or tasteless carrots, but it will never be enough to fill your rapidly decreasing gauges. And so, as you go out into the world, low on health and stamina and equipped with weak weaponry, you’re bound to get frustrated as the game keeps bothering you about how you are running out of oxygen, not taking care of your hunger or failing to keep an eye on your stamina. To make matters worse, the only way to save your progress is by returning to base camp: you die in the world and you lose everything you did since you started your expedition. But if you persevere and get past the first few hours, life will get easier. You will establish resources at your base – gardens, water purification systems, medical crafting facilities – and you will upgrade your character’s abilities and expand his arsenal. This slow but steady sense of progress is actually one of the strengths of the game: you’ll really feel more and more comfortable taking on Wanderers and exploring the hostile world around you. 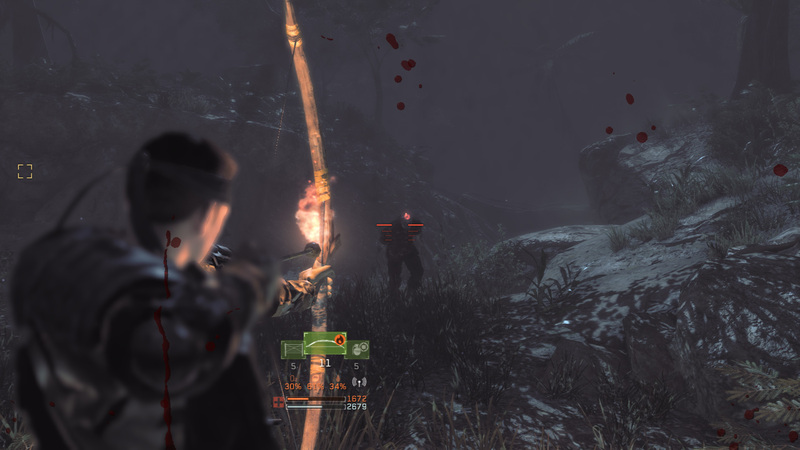 The main thing you’ll be collecting is a resource called Kuban Energy, and you’ll need it for virtually anything, crafting weapons, cooking meat, building defenses, upgrading your character. You can find Kuban Energy as crystalized pillars in the world, mine it from certain spots or obtain it from defeated foes. From your home base you prepare and then go out into the world to undertake tasks such as downloading data from memory boards, rescuing survivors or securing items to be used back on your base. Then you return to camp, unload your stuff and do the necessary preparations for the next round, such as repairing your weapons and gear, crafting new items and harvesting and cooking crops to be used as food in the field. So the question is; is this even a Metal Gear game? Is it worthy of that name? Surely, Metal Gear has had many spin offs in the past, from over the top action games to mobile phone adaptations, so how bad is it to use the brand for a survival game? While the gameplay gets the job done and works well enough, it is kind of startling to see the sheer drop in quality when it comes to audiovisual presentation and story, and this is perhaps the game’s biggest issue. Sure, as for the story, no one really had high expectations of it ever since we heard it involved random wormholes and crystal zombies, but the real surprise here is the presentation. While the important cutscenes look alright (they basically imitate MGSV’ cinematic style with its lens flares and free traveling camera), the characters and dialogue really aren’t up to par with the series’ high standards. The eccentric and layered human beings that usually appear in Metal Gear games are nowhere to be found, and instead we get a cast of bland, boring and stereotypical characters that no one will remember a few years from now, and that you will have a hard time caring about. And since the protagonist is a custom character that you create, you’re basically stuck to playing as someone with no discernible personality, and who utters a grand total of three words during the entire storyline (Venom Snake was flat-out verbose by comparison). 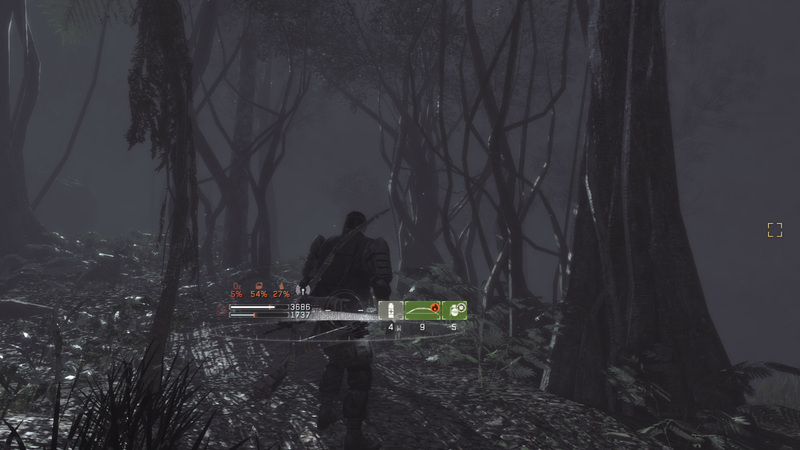 Speaking of presentation, it may surprise you that Metal Gear Survive, while not a bad looking game, at times looks worse than MGSV, even though it came out more than 2,5 years later and on current gen systems only. Maybe it’s the number of enemies that appear on screen (this can actually be kind of impressive) but it is strange to see the presentation take a step backwards. The voice acting ranges from passable to downright bad, and the facial animation can be laughably awkward at times. One thing that does hold up is the music, which remixes some tracks from the series as well as introducing new ones. Another annoyance is the constantly looming shadow of monetizations that appears to be looking over your shoulder all the time. You see, the game has a valuta called Survive Coins, or SV Coins, that appear before you in many of the menus you open. Whether you want to obtain an extra character slot, establish a secondary exploration team, or gestures for your character, there’s always the option of making your life in Dite easier by pouring real world money into it. The good news is that you can ignore all of this, and play the game without any of these purchases, but still, it feels wrong seeing it everywhere you turn. Another negative, especially for those who are just interested in the singleplayer, is the requirement to be always online. This means you can’t, for example, put your PlayStation 4 into rest mode while playing this game, because it will disconnect the game and this means being sent back to the title screen. A really unnecessary requirement if you’re just playing by yourself, and it also makes you wonder what will happen when Konami decides to shut down the servers. 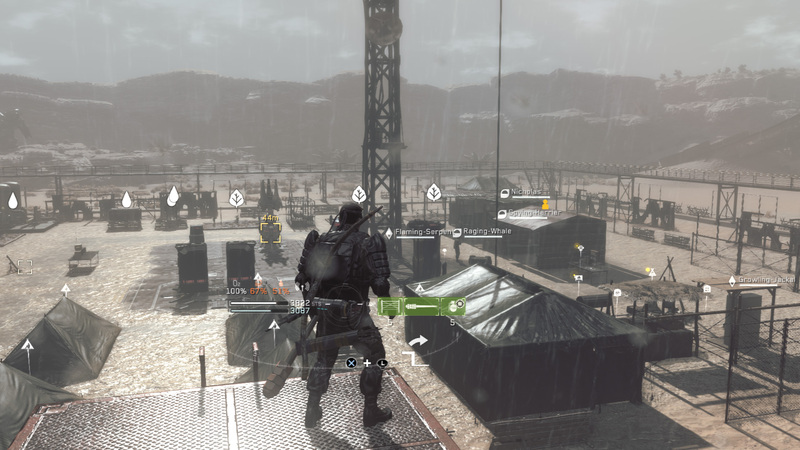 As a survival game, Metal Gear Survive isn’t too bad. The controls and interfaces, mostly inherited form MGSV, still work like a charm, and the added elements are actually quite deep. At times the game can actually be very fun and addictive, with lots of customization options, things to be found and ways to take out your enemies. It’s challenging and thrilling when you’re defending against an unrelenting horde of creatures, quickly switching between metal fences, mines, molotov cocktails, spears and firearms. The game does have its moments of excitement to offer. But if you are looking for a game with the distinct Metal Gear qualities we have gotten to cherish over the years, this may not be the game for you. Despite its similarities to MGSV it manages to never feel like a Metal Gear game, it actually feels closer to the Resident Evil action games from the previous generation. This, coupled with the abundance of microtransactions are the game’s greatest flaws. In conclusion, wether you will enjoy Metal Gear Survive depends entirely on what you’re looking for. If you’re a Metal Gear fan and want to experience an amazing story in the style of Kojima’s work, you won’t find that here. If you’re looking for a mechanically solid, fairly deep and challenging survival and base building game, this could be the right choice for you. And so, Metal Gear Survive may be neither Heaven or Hell, but perhaps there’s a third option here. Note: this review looks at the singleplayer portion of the game only.